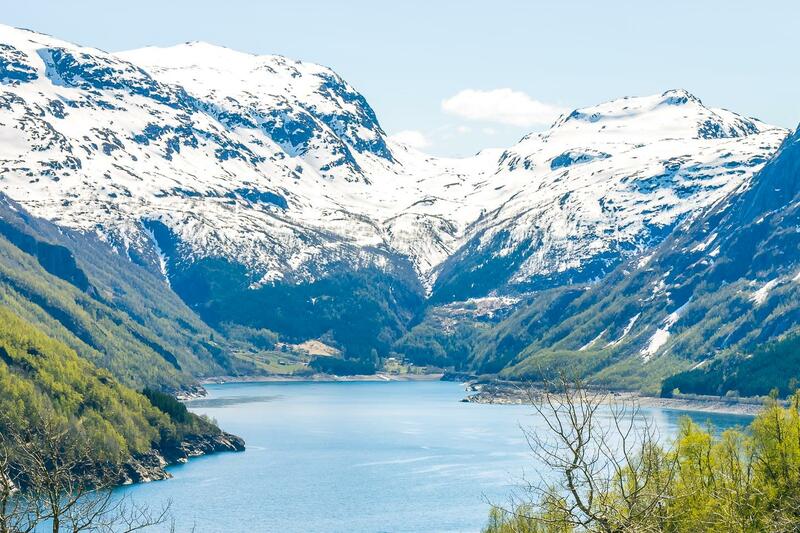 It’s no secret that I think Norway is one of the most beautiful countries in the world. In fact I think I probably go a bit overboard with my enthusiasm for this country. Okay fine, maybe a lot overboard. I mean, who couldn’t love this place? 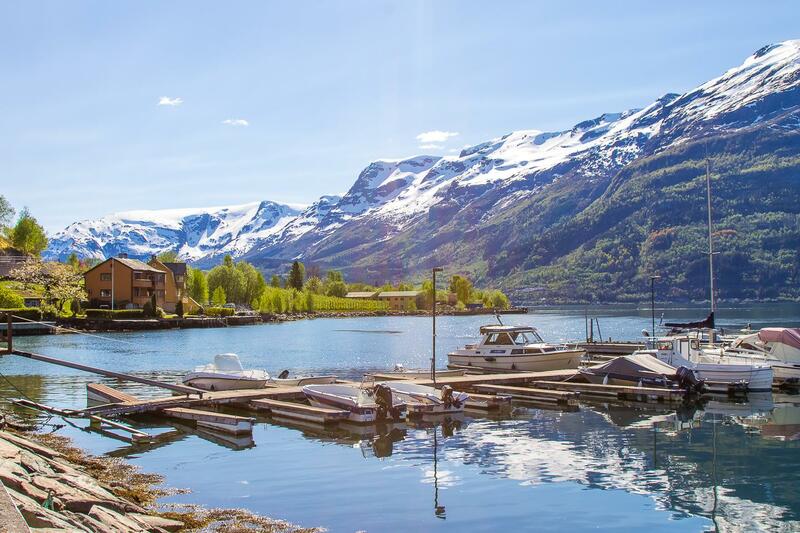 It’s gorgeous in the summer, beautiful in autumn, and don’t get me started on those sparkling Norwegian winters. 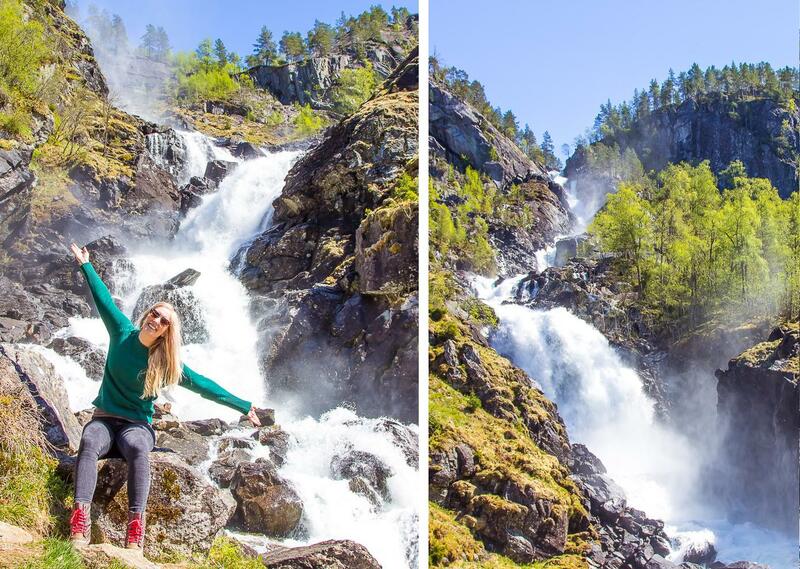 Norway is just the best! Wait. Am I forgetting something? 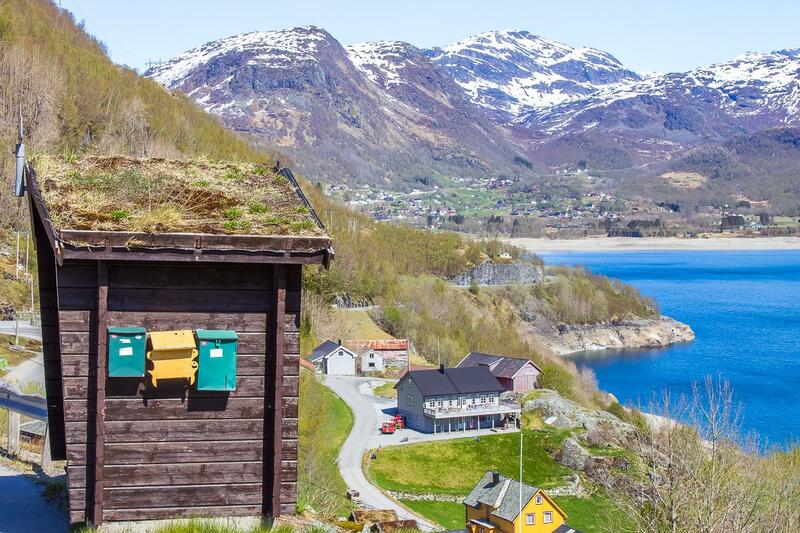 I’m going to be honest here: I didn’t have high expectations for spring in Norway, which might have something to do with the fact that all the locals in Rauland kept warning me that May up here is the worst. And yes, it is pretty gray. Everything is dead, and even the snow has lost its sparkle. I mean, last week it was really sunny and warm, but then it snowed again. 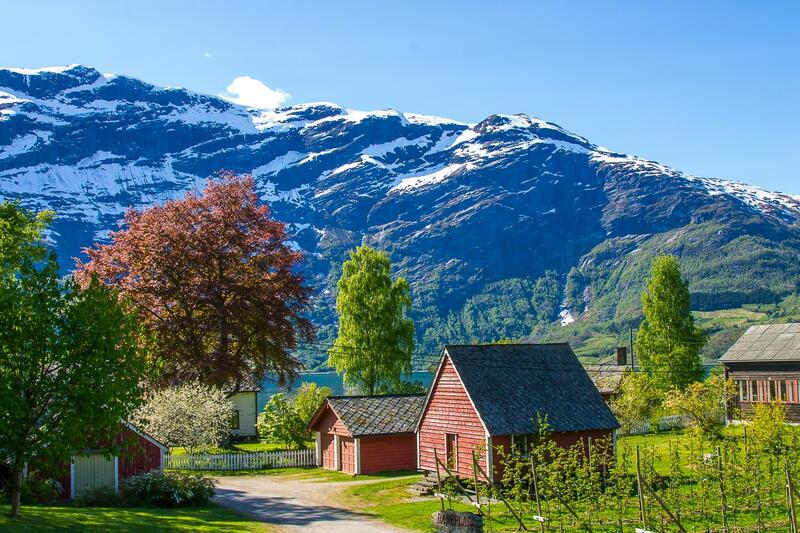 It’s okay though, Norway can’t be beautiful all the time – that just wouldn’t be fair. 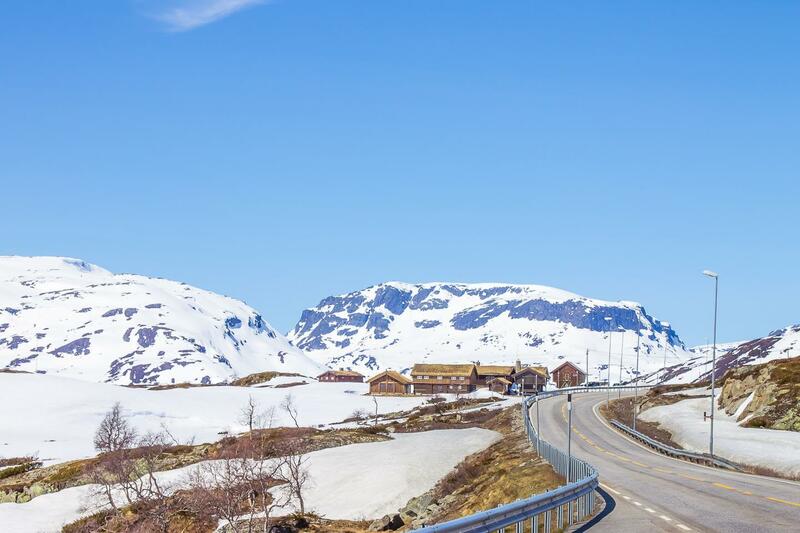 Norway just doesn’t do spring very well. 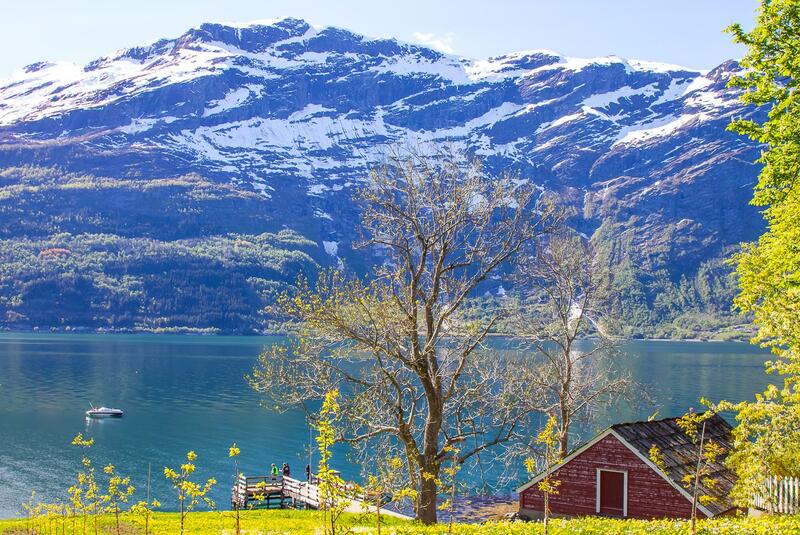 At least that’s what I thought, until someone told me that in mid May the fruit trees along the Hardangerfjord are in bloom. It turns out life isn’t always fair. Rauland is about 140 kilometers from the start of Hardangerfjord in Odda, so yesterday Dan and I packed up a picnic and set off in our little red car in search of these famous Hardanger fruit blossoms! Our first stop wasn’t too far from home, at the Urdøuri in Arabygdi, along Lake Totak. 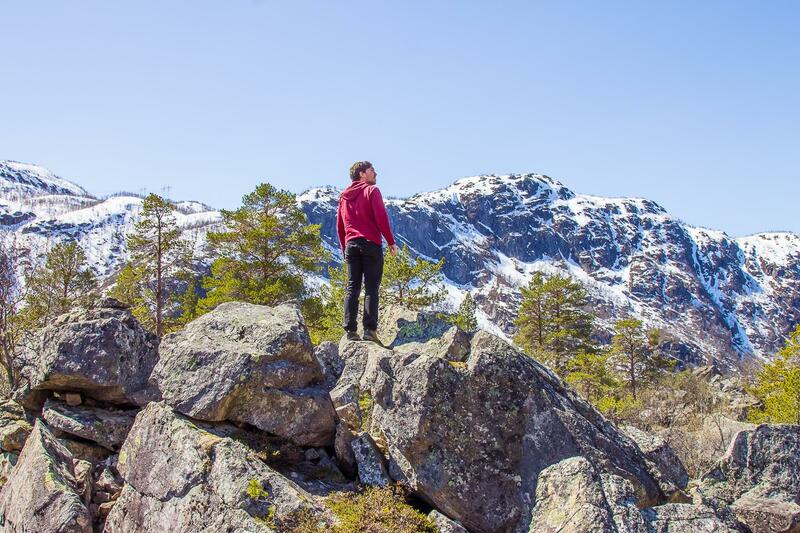 This is apparently the largest stone scree in Northern Europe, created one fateful evening when locals at a wedding celebration refused to let Thor join in the revelry with some beer. So Thor did what Thor does and took out his anger with his hammer. I think the joke is on him though, as all the resulting boulders make for one fun playground. And then we made our descent down towards the fjord. Okay fine, that’s actually the old road – the new one is super fancy and full of tunnels. Now can we just take a moment to talk about how adorable Norway is? Even the bus stops have grass roofs! The views aren’t the worst either. And oh my goodness, all the water falls! Now with the snow melting there are waterfalls everywhere (even the path to our cabin has turned into a lovely stream) but I still gasped when we drove by a cliff and were covered in spray from a massive waterfall. And a split second later there was another one! 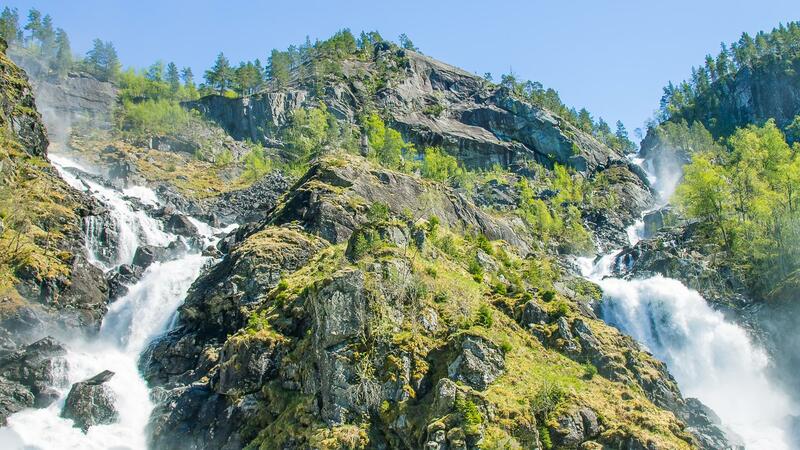 Låtefossen is 165 meters tall and splits into two streams as it goes over the mountainside, before joining together at the bottom to run under a bridge. Låtefossen also happens to be at the start of one of Norway’s eighteen National Tourist Routes (marked by a knot-like symbol), so we knew we were in for a beautiful ride. 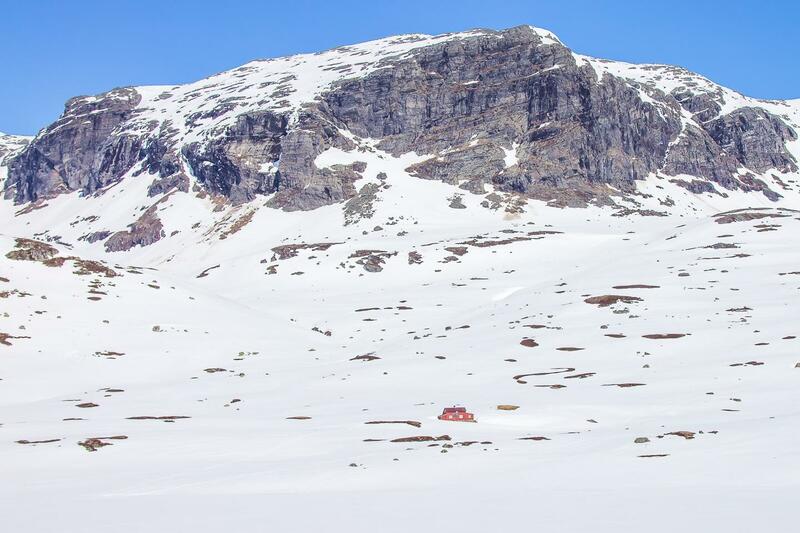 When we reached Odda – famous for Trolltunga – we were greeted by a flock of sea gulls and everything smelled of saltwater. We had reached the tip of Hardangerfjord! I love how the Norwegian fjords bring the sea inland; it totally felt like we were on the coast. 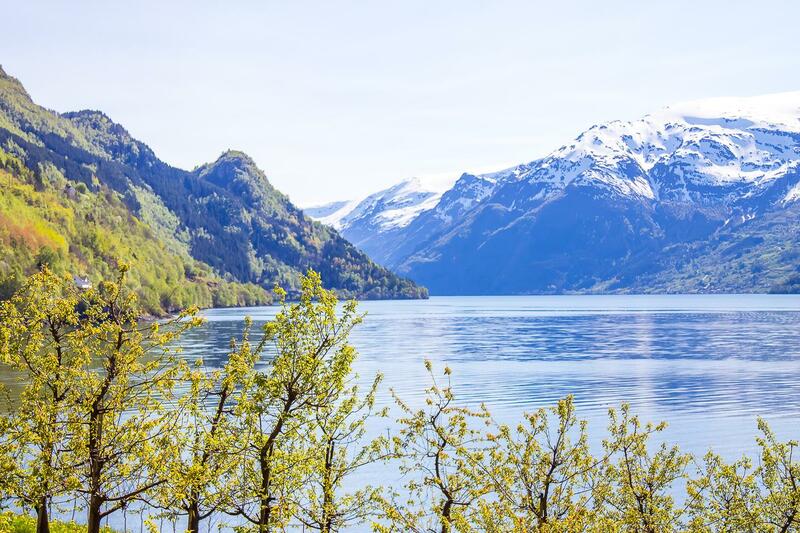 The road along the fjord from Odda to Brimnes passes by lots of orchards, and it turned out the rumors were true – the fruit trees really were in bloom! We had to turn around at Ullensvang as it was starting to get late, but not before picking out the perfect neighborhood to move to. 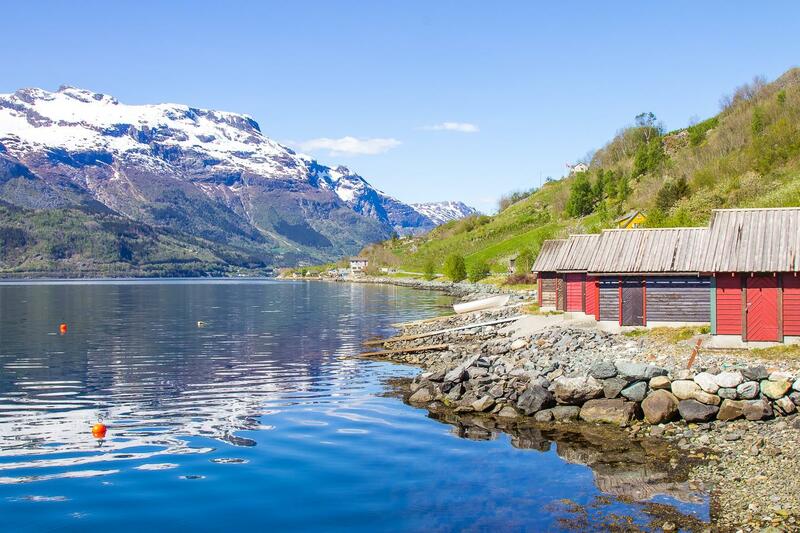 I mean, how magical would it be to live on a fjord? The verdict? Norway in the spring is actually pretty magical – at least on Hardangerfjord. 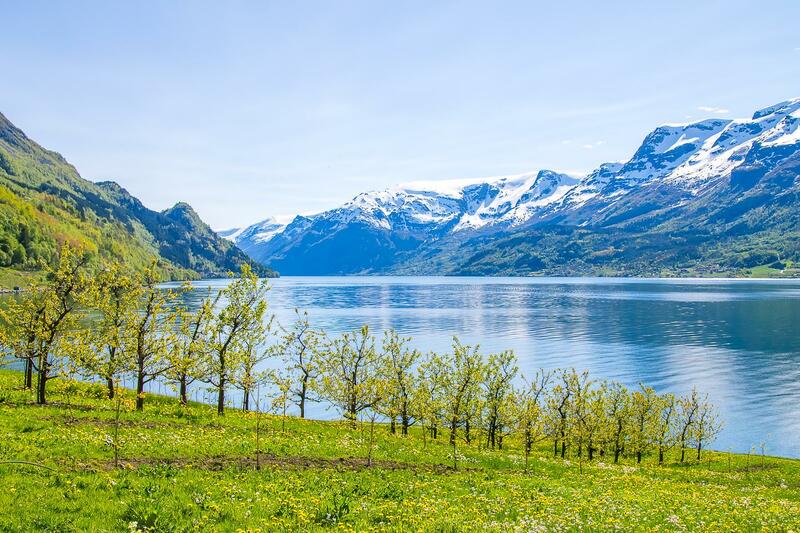 The fruit blossoms in Hardanger usually last about 4 weeks and while the timing depends on the weather each year, if you visit around mid-May you’ll have a very good chance of seeing them. And since we were driving and I couldn’t get many photos of the actual fruit blossoms, here’s a little video I made of the road trip. Let’s pretend the shakiness and dirty windshield are artsy, okay? Okay. Wow, thanks for your awesome site. I’ve been scouring it trying to figure out my trip and its incredibly useful! I really appreciate all the time you’ve put into giving us all these careful details. Okay, so I get that May is obviously not the ideal time to come … but it is what it is and I’d rather come in May than not at all so thats what I’m doing :P. That being said, is there a region or a particular one of your trips that you suggest as probably being the best bet for mid May? Some details incase they’re useful: I’m flying from Copenhagen to Norway around the 12th and I’ll leave around the 19th -21st or so. If you don’t mind making a recommendation or pointing me in the right direction I would really appreciate it! I like all the things 😛 — fjords, nature, mountains, hiking, adorable little towns, history, culture whatever. I’m from Canada so I can handle some cold weather and rain. I’ve obviously been lusting after Loften and Alesund (any chance theres a worthwhile road trip between those two?) but I’m open to going wherever. I’ve been warned against Oslo by a local and I live in a big city so I’m inclined to agree that I don’t need more big city time. That being said, my flight home from Oslo would be cheeper so I’m willing to not write it off completely. Thanks in advance! 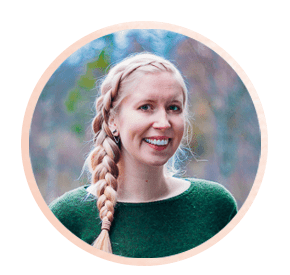 It takes 20 hours to drive one way from Alesund to Lofoten, so that would be a lot of driving (especially if you want to return the car in the same location to avoid the hefty fee). It would be beautiful though! 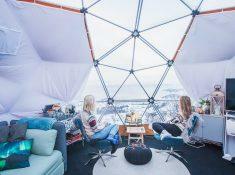 I would recommend either the first itinerary here: https://www.heartmybackpack.com/norway/one-week-in-norway-itineraries/ or this itinerary: https://www.heartmybackpack.com/norway/northern-norway-itinerary-winter/. My personal preference would be the Northern Norway one, as I find the north so much more beautiful. You won’t be able to see the Northern Lights anymore, but you’ll be approaching the midnight sun so it will be super light the whole time! 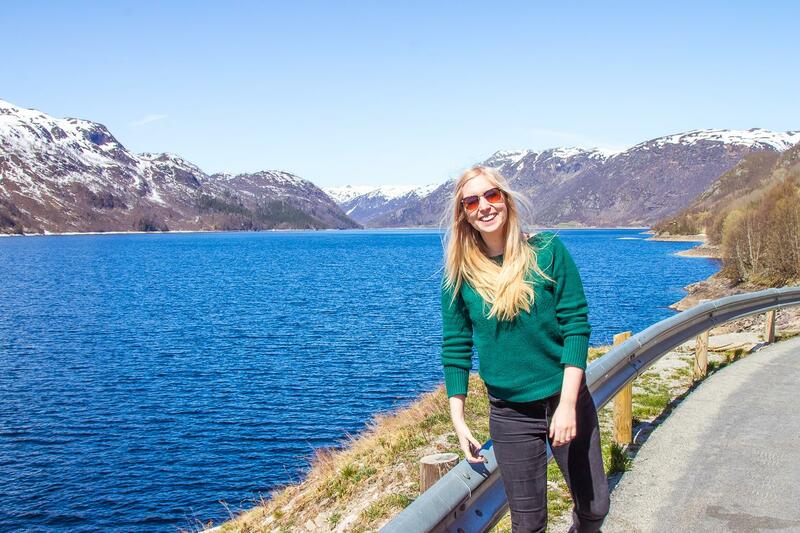 Your blog has inspired me and my fiance to spend most of our honeymoon driving across Norway. 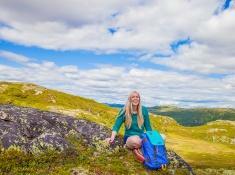 Both of us are nature enthusiasts and would love to trek through the mountains. We are doing a driving trip for around 10 days in Norway. Will it be possible for us to climb Troltunga and Kjeragbolten (dates are May2nd to May12th 2018) ? Hm it varies year to year, but I think early May might still be too early this year – often the road won’t even be open by then. But you should check with the local tourist offices closer to the time, as you might be lucky! If you do go in May though you will probably need a guide, as the hikes can be dangerous if there’s still snow on the ground. 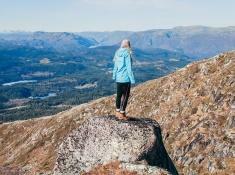 There are lots of other lovely places to go if these hikes are still closed though! 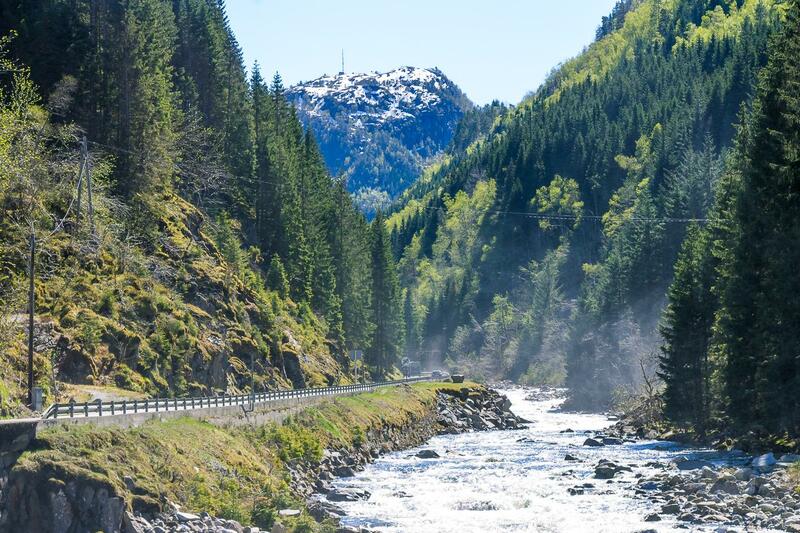 You really have written a lovely review of Norway, we are planning for a Norway road trip in may 2018 could you suggest while driving from Oslo to Bergen if taking the route through Gielo or through Rauland will be more scenic. Personally I think the route through Rauland is more scenic. 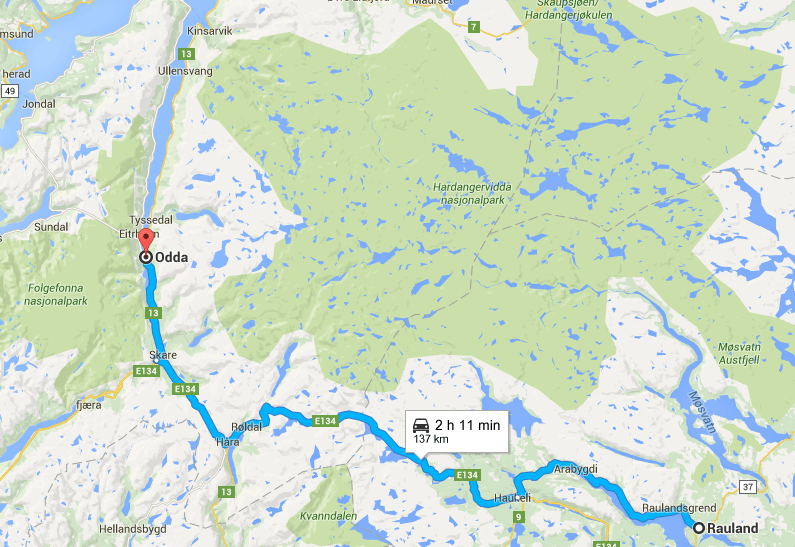 If it’s open, try to go over Gaustatoppen via the Heddal stave church. Hmm I would say the Norway in a Nutshell tour is worth it IF you can’t drive yourself. 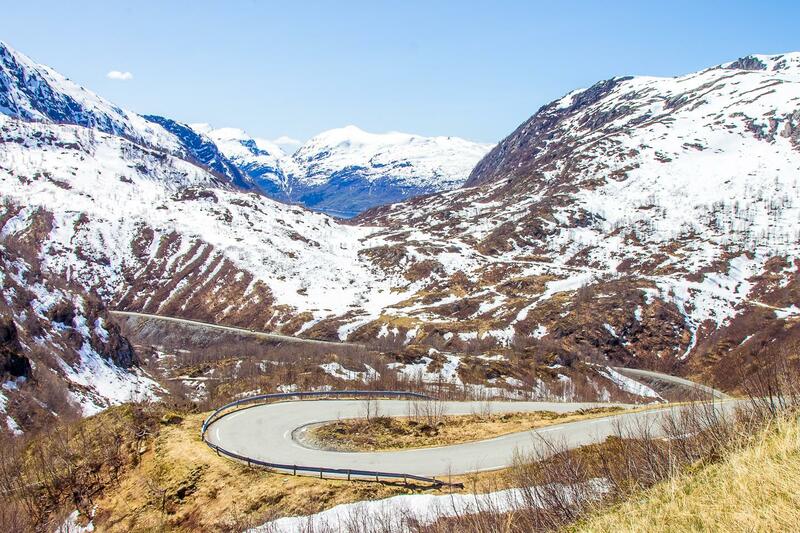 The best option would really be to rent a car from Bergen and drive up this route: http://www.heartmybackpack.com/norway/aurlandsfjellet-sognefjellet-bergen-road-trip/. That way you could stop and take photos when you want, and you won’t be with a huge group. 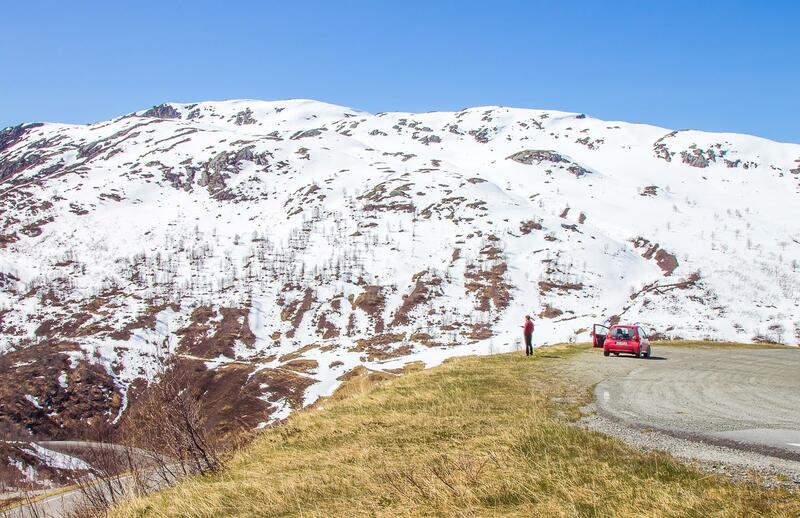 But if you can’t drive, then the tour will get you to the prettiest spots. In Oslo the view from the ski jump is really amazing, and in Bergen I would go up one of the mountains for a view over the city. I’m sure you can find more info on Google! In the mountains there’s still snow, so you can’t do all the hikes or drive on all the roads yet, but closer to the sea it will be spring with lots of flowers. 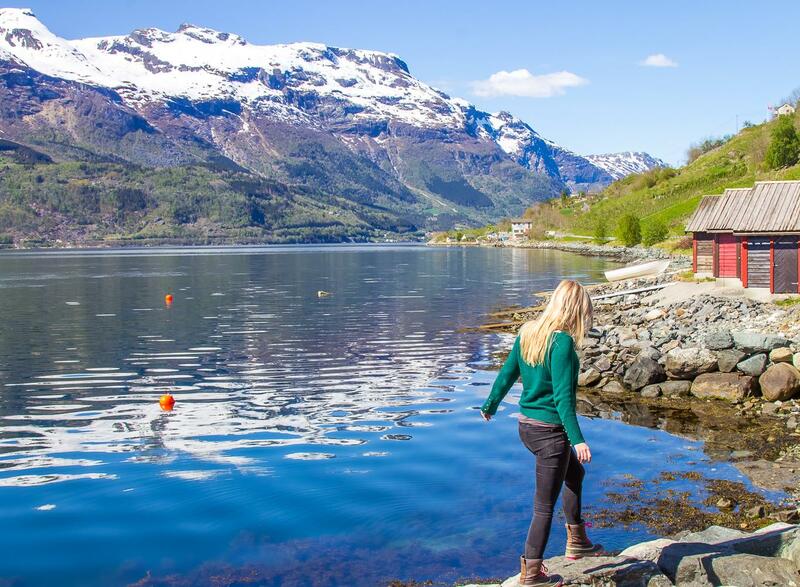 May is a beautiful time in Hardangerfjord!